St Paddy’s day is almost here. One of the biggest parties of the year, The Bluestone Room will be keeping it green! 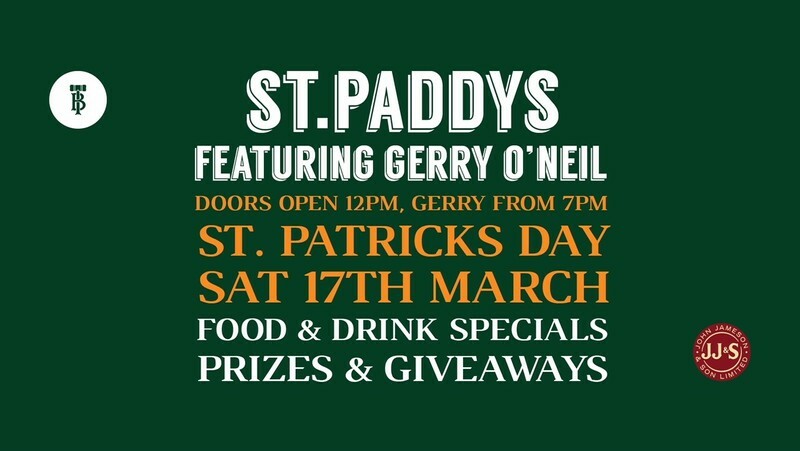 We have the awesome Gerry O’Neil doing his thing from 7pm. Jamesons specials, Murphys on tap and our classic pub fare! There will be giveaways for best dressed. Go get green and see you there!